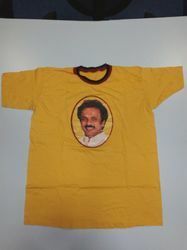 We are a professional manufacturer of ADs and promotion Tshirts in South India region including Andhra Pradesh, Karnataka, Kerala and Tamil Nadu and cities like Bangalore, Chennai and Hyderabad. 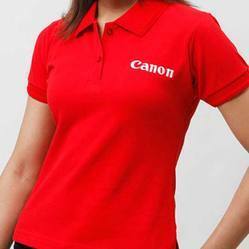 Promotional T-shirts offered come in bright finish designs as well as theme options and offer best usage as promotional t-shirts. 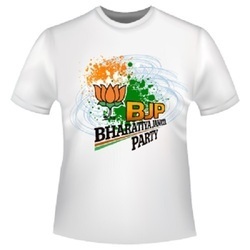 Political T-shirts are a great way to show your support for the upcoming elections. Custom campaign T-shirts are great for supporting your local senator, governor or city council member. You can also design custom T-shirts for your student council or class elections. 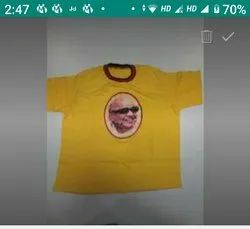 We are the manufacturer and exporter of Camping T Shirt.